1. 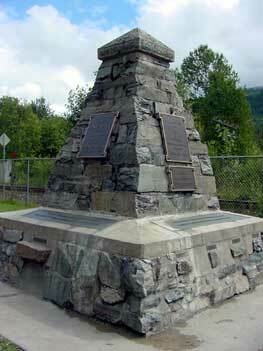 First known presence: In 1788 a British expedition including fifty Chinese craftsmen attempted to establish a trading post at Nootka Sound on Vancouver Island. 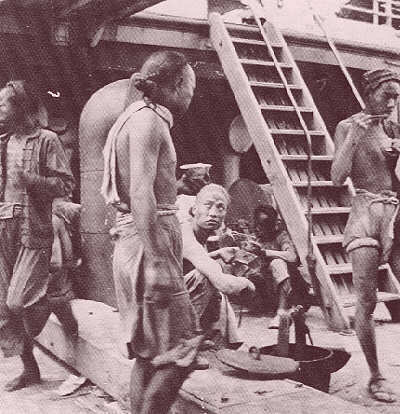 After the Spaniards drove the British out, many of the Chinese crew settled in the area, some marrying native women. 2. Upheaval in China: The pressure of a rapidly growing population and civil war in southern China during the nineteenth century drove many Chinese to migrate to places like Canada. 3. Mines and lumber: The termination of slavery in North America in 1865 combined with the demands created by a rapidly industrializing continent led to a search for cheap labour. Available to meet these demands, Chinese working in the United States, and later from counties close to Hong Kong, migrated to British Columbia (B.C.) to work in gold fields, coal mines, and lumber camps during the 1850s and 60s. 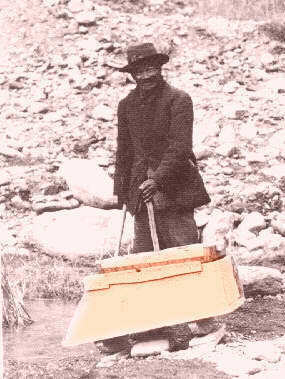 The 1874 census counted 3,000 Chinese in Canada. 4. Railway workers: The same need for cheap labour that had led to earlier migration to Canada created a demand for Chinese workers to build part of the national railway in B.C. It is estimated that during the height of construction, from 1881-1884, more than 17,000 Chinese, 10,000 directly from China, arrived in Canada. After leaving China, they faced starvation and sickness on the boat trip, and, in Canada, winter harshness, dangerous working conditions, and poor treatment. 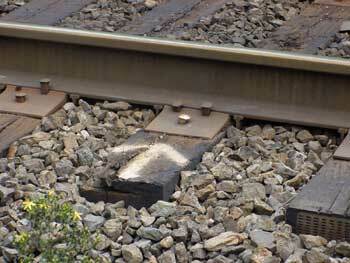 It is estimated that at least 600 died in railroad construction. 5. Establishment of Chinatowns: Centres of Chinese habitation and business activity developed to expedite the movement of Chinese workers and to supply their needs. 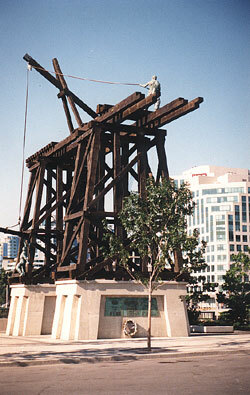 Of the 3,500 Chinese in Canada in 1880, 2000 lived in Victoria. Similar centres were established in New Westminister, Nanaimo, and Vancouver. 6. Backlash: Chinese labour was very cheap relative to its Caucasian counterpart. 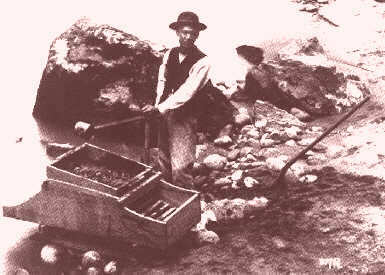 For example, in 1866 Chinese coal miners earned $1 a day in Nanaimo compared to $2.50 by white workers. This competition and cultural differences fostered prejudice against the Chinese. In 1875 they were removed from the voter’s list of B.C. Discrimination escalated when completion of the railroad in 1885 created a depression in B.C. and left Chinese workers searching for other employment. The intensity of the backlash was manifested when mobs attacked Chinese communities in Calgary (1892) and Vancouver (1907). 7. Head tax: Continuing discrimination in B.C. led the federal government to establish the Royal Commission on Chinese Immigration. The commission’s recommendation that Chinese immigration be restricted by means of a tax was adopted in 1885 leading to the first head tax of $50. Continuing pressure from B.C. led to raising the tax to $100 in 1900 and $500 in 1903. 8. Adaption: Being out of work once the railroad was finished, Chinese began to move across Canada, some going to Victoria and Vancouver, others going East. Once settled, they offered services such as laundries, grocery stores, restaurants, and vegetable production for the urban centres they resided within. The also adopted mainstream life styles; for example, Chinese Canadians started enrolling in Canadian universities in 1914. 9. World War I: Chinese volunteered for military service and, despite widespread unemployment, purchased war bonds. Service in the war led to petitions, eventually unsuccessful, by B.C. Chinese for the federal franchise. 10. 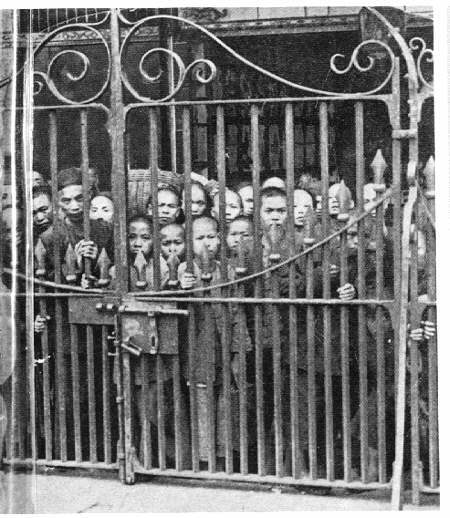 Exclusion: The Chinese were made a scapegoat for postwar economic dislocation, which led to almost complete banning of their immigration. On July 1, 1923, the Chinese Immigration Act, also known as the Chinese Exclusion Act, went into effect, allowing only Chinese merchants to immigrate. From that point on Chinese in Canada marked Dominion Day (later known as Canada Day) as "Humiliation Day," closing their businesses and refusing to participate in activities each year. 11. Bachelor society: It was almost always Chinese males who migrated to Canada because they had greater earning power. Expected to support families in China, many never planned to remain in Canada. However, once they had established themselves, they changed their minds and hoped to bring wives and families from China. The Exclusion Act of 1923 dashed those hopes, prohibiting but a few Chinese entrance into Canada. As a result, the Chinese Canadian population decreased from a total of 39,587 in 1921 to 34,627 in 1941. Of the 1941 figure, 11 percent were female. 12. Depression: The hardship created by economic depression during the interim war period strengthened Chinese society. Community, political, and church organizations supported the unemployed and preserved Chinese culture. Nevertheless, for the first time, the Chinese turned to white agencies for support even though it was not always forthcoming and when it was, it was often at substantially reduced levels to what whites received. 13. World War II: Chinese contribution to the Canadian war effort was exemplary. They bought millions of dollars worth of government war bonds. More than five hundred were called into military service, some as officers. They did war work in shipyards and factories, exerted themselves to produce more food on their farms for Canadian troops, and served as air raid wardens. They also donated millions of dollars to the Chinese resistance against Japan. 14. Repeal of the Chinese Exclusion Act: Since its inception in 1923, the Chinese had fought to have this act repealed. Finally, in May 1947 they were successful. Their efforts had been effective because of their support of the Canadian war effort, the fact that China had been Canada’s ally in the war, the Americans’ repeal of their Chinese Exclusion Act in 1944, and the recognition that the act contravened some parts of the United Nations Charter on human rights. 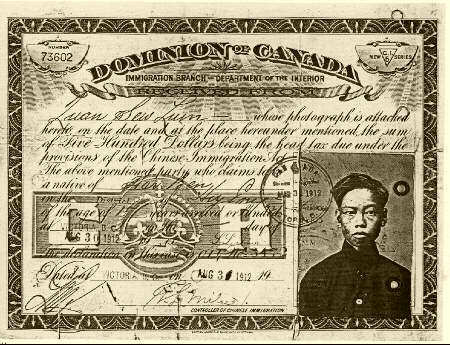 Repeal of the act was followed by granting franchise to Chinese Canadian citizens in all parts of Canada and a gradual opening to Chinese immigration. 15. End of overt discrimination: Changes to immigration regulations in 1967 removed discriminatory criteria and allowed Chinese to come to Canada as independent immigrants. As a result, not only did the numbers of immigrants from China increase dramatically, their qualifications were also much higher. Many were highly educated, spoke English, and could easily adapt in Canada’s large urban centres. 16. Multiculturalism: The policy of multiculturalism adopted in 1971 encouraged ethnic groups in Canada to preserve and develop their ethnic cultures. Chinese Canadians already had a basis in their concentrated residential patterns, sophisticated community organizations, and widely used language schools to take advantage of this policy. They have proceeded to build cultural centres, ethnic care centres for the elderly, and memorial parks, and to promote Chinese-Canadian cultural exchanges. 17. Immigrants from Hong Kong: Direct migration from China ceased between 1949, the year the Chinese Communist Party took power there, and 1974. During this time the main source of Chinese immigrants was Hong Kong. This flow intensified as 1997, the date of the turnover of Hong Kong’s governance to China, approached. Many of them were business immigrants who constituted approximately one third of the total number of business immigrants landing in Canada between 1986-2000. 18. Economic influence: As evidenced in their high proportion of business immigrants, immigrants from Hong Kong often invested large sums of money in Canada. This combined with a Chinese propensity to work hard and save produced an economic boom in Canada. Real estate prices in Vancouver and Toronto rose quickly as Chinese purchased more expensive homes, built Chinese shopping malls (Aberdeen Centre, Richmond, B.C. ), established national media networks (Fairchild), purchased large oil companies (Husky), and sold Canadian real estate in Hong Kong (Pacific Place, Vancouver). 19. New immigrants from China: Once the turnover in governance in Hong Kong occurred, new immigrants came increasingly from the People’s Republic of China, the leading country of birth for new immigrants in the 1990's. These new immigrants speak Mandarin more often than Cantonese, have different political affinities and fewer economic resources, but are well educated. They also have a better sense of China’s increasing status in the world. 20. Large population: The 2001 census reported 1,094,700 individuals of Chinese origin out of a total population of 29,639,035, or 3.7 percent of the total. The 2001 census figure was an increase of 16 percent over the 1996 census figure, which itself was an increase of about 45 percent over the 1991 census figure. 21. New Chinatowns: At one point Chinatowns across Canada had been in danger of disappearing altogether. Usually located in poorer parts of cities, they were primary targets for demolition during urban renewal in the 1960s. The Sien Lok Society of Calgary led a movement to preserve them with a national conference in 1969. Their efforts combined with the increasing population led to the rejuvenation of Chinese business and residential centres thereby adding to the attractiveness of city centres. Chinatowns have expanded or taken root in other parts of cities, even evolving into major shopping malls. 22. Chinese-Canadian Identity: Starting on the West Coast in the mid-60s, Chinese began to develop an identity more closely linked to living in Canada. The radio program "Pender Guy," which ran from 1976 to 1981 in Vancouver, encouraged its listeners to realize that it was better to accept the influence of living in Western Canada rather than nourish an unfamiliar culture from China. 23. Prominent political leaders: Reflecting their increasing status, Chinese Canadians have also produced prominent political leaders. Douglas Jung became the first Chinese to be elected to the Canadian Parliament in 1957, David See-Chai Lam was Lieutenant-Governor of B.C. from 1988-1995, Ardrienne Clarkson has been Governor-General of Canada since 1999, and Normie Kwong became Lieutenant-Governor of Alberta in 2005. 24. Response to racism: In step with the decreasing acceptance of racism within Canada, Chinese Canadians have become proactive in uncovering and eradicating racist attitudes. One landmark in this movement was a national protest against the television program "Campus Giveaway" in 1979, which depicted Chinese-Canadians as foreign students taking limited positions in Canada’s medical schools. Another has been the ongoing effort to have the Canadian government redress the head tax, repaying all or some of the $23 million that had been collected in head tax and registrations to leave. Groups have even successfully lobbied to have derogatory names for geographic features changed. 25. National organizations: The need to combat racism and to influence policies related to matters such as immigration and Chinese medicine has led to the creation of national organizations. The National Congress of Chinese Canadians is an umbrella group gathering opinions from and attempting to represent hundreds of Chinese Canadian organizations. The Chinese Canadian National Council was formed after the airing the television program "National Giveaway" and has worked to promote the rights of Chinese Canadians. 26. Recognition of cultural resources: Chinese culture has become more significant in Canada because of the higher profile of Chinese Canadians and the increasing importance of China in the world. There is broad interest in Chinese forms of alternative medicine such as acupuncture and herbal remedies. Mandarin instruction is widely available in community schools, universities and colleges, and in some K-12 curricula. The health benefit, along with the gastronomic attraction, of Chinese food is well known. Chinese forms of elder care have given mainstream care providers viable options to explore in order to improve their own services. The list of resources could be extensively expanded to include family values, martial arts, Buddhism, role of etiquette, graphic arts, Chinese cooking, and so on. 27. Victor Li’s offer to invest in Air Canada: Victor Li, son of Hong Kong billionaire Li Ka-shing, offer to become the main shareholder in Canada’s flagship air carrier was accepted by airline management in 2003. Although this was only a single event, and the deal eventually fell through, it symbolized the economic influence that Chinese Canadians have attained. 28. Youth: Chinese Canadian youth are noted for their high rate of enrollment in post secondary education, especially in professional schools. Studies have also shown that their lifestyle choices tend to be more conservative compared with their peers. These two factors indicate that the influence of Chinese Canadians will continue into the future. Chan, Anthony. "Chinese Canada: Reflections on Historical Eras and Watersheds," in The Chinese in Ontario: Polyphony: The Bulletin of the Multicultural History Society of Ontario,. Vol. 15, 2000: 1-13. Li, Peter. The Chinese in Canada. 2nd edition. Toronto: Oxford, 1998.